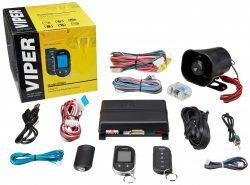 Viper is the world’s best-selling brand of remote car starters and security systems. Therefore if you know one or two things about such gadgets then you have probably heard of this brand. Its SmartStart app is so popular that other manufacturers of remote starters are striving to ensure their models are compatible with the app. One interesting fact that many consumers do not know is that Viper® is not a company but a brand created by Directed Electronics which in turn is a business unit of DEI Holdings, Inc. Directed Electronics was founded in 1982, a time when automobile theft was rising at an alarming rate. Thanks to the lucrative market, the company was able to shift offices from Cleveland, Ohio to Southern California. In the late 1980s and early 1990s, the demand for vehicle security systems increased sharply as the demand for automobiles went through the roof. Directed Electronics and its Viper brand took that as an opportunity to offer customers what they needed, and in 1991, the company made a debut in the Inc. 500 thanks to the large market that it was serving. Over two decades later and it is still doing what it does best – offering consumers the best in remote car starters and security systems. With a great reputation and products to match. Currently, the company has so many models of remote starters. Whereas some are undoubtedly excellent, others receive a fair share of negative criticism from consumers. 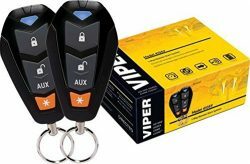 That’s why we’ve done the research and come up with this list of the top five best Viper remote car starters so you can rest easy that you’re getting the best one for your needs. For best price click here. Out of all Viper remote car starters, the 4205V is the only one that receives positive customer ratings and reviews consistently. Its single-button transmitter remote supports two vehicles and features a defroster output. One good thing about the Viper 4205V is that apart from a bypass module, it has everything else that you need to install the system in your vehicle. It actually comes as a complete package that includes two remotes each of which has a LED display that indicates the current status of your vehicle. If anyone or anything tampers with your vehicle the remote will notify you and the car will activate an alarm. That is pretty handy for security purposes and simply cements the fact that this model is perfect for you regardless of the type of car you own. Additional features: opens the trunk, regulates temperature, LCD screen, and sleek design. If you are shopping for a model that will make it easy for you to command your car and trace the execution of those commands then the Viper 5706 is exactly that. With a full mile range, the remote transmitter has only five buttons but can execute up to 24 different instructions; including temperature regulation. That is particularly important during the hot summer days or cold winter season. But the best part about this remote starter is that it is very sensitive, and you can actually use it from the comfort of your couch, office desk or even the mall. Additional features: compatible with SmartStart, opens the trunk, has car locator. The Viper 4105 appears in many remote car starter reviews on account of its popularity. Well, it is one of the most affordable models in the market today but don’t let that create the impression that it is an inferior product. As a matter of fact, it is designed with code-hopping for maximum security. You can quickly locate where you parked your car using its car finder feature that flashes lights a few times. If you are a techie, you can upgrade this model to a smartphone app by integrating it with your smartphone using SmartStart. That will add features like GPS tracking, limitless proximity, and the ability to control the car using Bluetooth. The Viper 4105 is really a handy and convenient toy for adults. Additional features: timers for engine and parking, temperature monitor, and LCD screen. In case you are the type of car owner who prioritizes features over cost then the Viper 5904V/5906 will offer you the experience of a lifetime. This sophisticated model is smartphone enabled and can integrate with Viper’s SmartStart. One feature that makes it excellent is the sensor bypass option. You can bypass some sensors by simply adjusting a few system settings. With that, the security level of your vehicle is squarely under your control because whenever a sensor is triggered the unit will notify you using the comprehensive information center. The clear LCD screen makes it possible for you to confirm all the commands that you send. In fact when you examine all the impressive features of the 5904V/5906 keenly you will realize that even at its retail price it is still a bargain. Proximity: depends on strength when using Bluetooth and unlimited access when using data connection. Additional features: two remotes, optional GPS tracking, geo-fencing, temperature regulator, and timer. If all you need is a system that can do away with all the keys and gadgets that control your vehicle, then Viper Smart Start VSS4000 is here for you. It is actually a smart solution (probably the smartest car starter yet) that uses Viper’s SmartStart to combines all the controls of your vehicle into a smartphone. So all you will need to unlock and start your car is the same smartphone that you use to communicate. There is more, you can either use Bluetooth or data connection to link the system to your car. Of course, Bluetooth comes with some geographical restrictions, but with data connection, you can practically control your car from anywhere in the world. Don’t worry, if these aren’t for you or you’re looking to see what else is out there, check out our top 5 car starters for 2016 for other models and options.